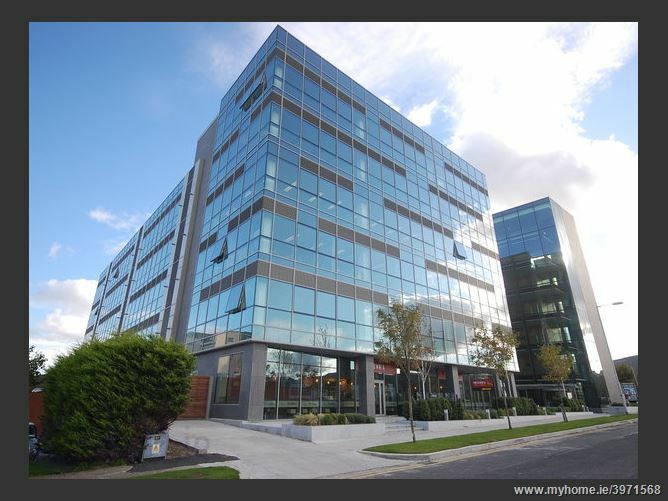 Q House is located approximately 8km south of Dublin City Centre in the heart if the Sandyford Industrial Estate. The area is well served by public transport with the Sandyford and Stillorgan LUAS stops a short walk from Q House. Sandyford Industrial Estate is one of the largest suburban business hubs in Dublin and has a wide range of users from retail and services to office and industrial. It is an attractive environment for any business with many amenities in the area. Q House is a recent development of own door modern specification office suites. Units 107 and 108 are located on the first floor of this block. The units are open plan, however suite 108 has been subdivided with partition walls to allow for a boardroom and private office. Each suite has a ladies and gents W/C and a kitchenette. They have each have a suspended ceiling incorporating recessed strip lighting and air comforting. The units have raised floors. 2 designated car spaces accompany each unit. Suite 107 measures 87.79 Sq. m / 945 Sq. ft (NIA) and is currently occupied by Life Goals Financial Services who have a 2 year lease from November 2016 at a passing rent of €24,000 per annum. Suite 108 measures 91.30 Sq. m / 979 Sq. ft (NIA) currently occupied by Compliance Co-Sec Services Limited who have a 2 year lease from November 2016 at a passing rent of €24,000 per annum.